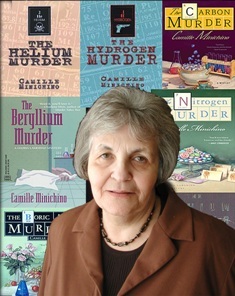 Camille Minichino grew up about a mile from the beach in Revere, Massachusetts, the setting for her mystery series based on the periodic table. Like her amateur sleuth, Gloria Lamerino, she has a Ph.D. in physics and a long career in research and teaching. She has written eight mysteries: The Hydrogen Murder, The Helium Murder, The Lithium Murder, and so on, to The Oxygen Murder, due summer 2006. She's looking forward to number 109, The Meitnerium Murder. Camille teaches a science class at Golden Gate University in San Francisco. She also teaches logic and creative writing and works as a scientific editor in the Engineering Department of Lawrence Livermore National Laboratory. 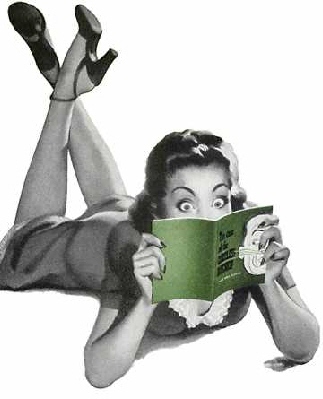 She is President of the Northern California Chapter of Sisters in Crime, on the board of the California Writers Club, and a member of Mystery Writers of America. Camille lives with her husband and 5 satellite dishes in Castro Valley. For lots more information, please visit Camille Minichino at www.minichino.com.